NY_____. (pronounced "ny underscore") publishes very short fiction and nonfiction, as well as poetry, photography, and art, all on specific themes that are aspects of life in New York City. The fifth issue's theme is "transportation." 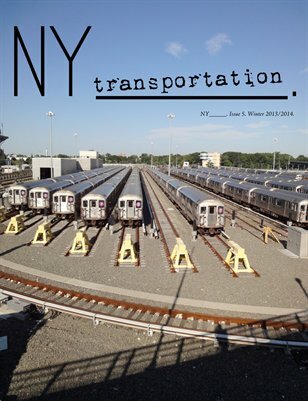 Everything in this issue is on the topic of transportation in New York City.